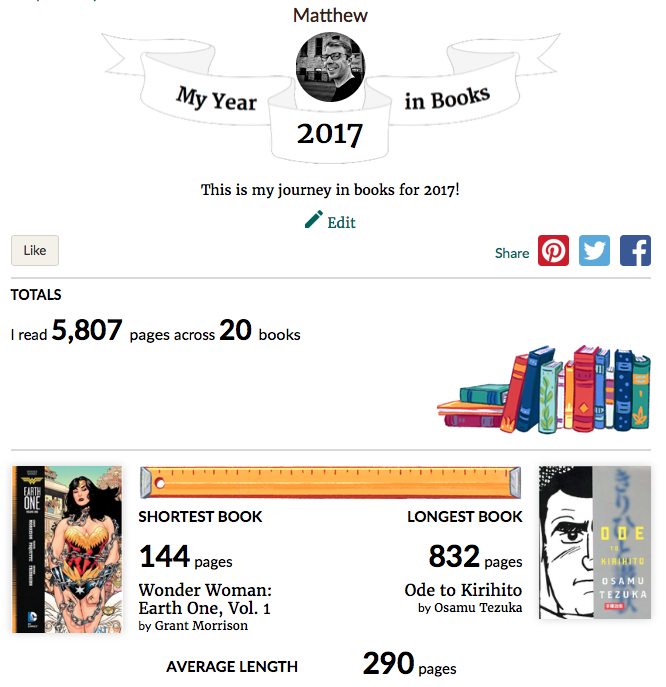 My Goodreads year in books is out. This is always fun to look at to see what I read this past year. Let's take a quick look. I found that I had a lot of trouble trying to read books this year, mostly due to time. The majority of whatI have read this year was either in audiobook form, or it was a comic book. Looking at my list I believe only Render, Children of Hurin, Cold and the Castle of Wolfenbach were actually "read" books.